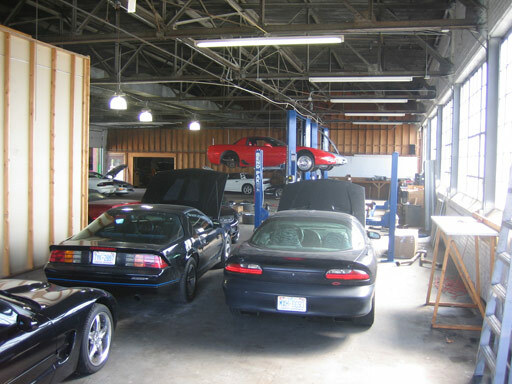 Carolina Auto Masters is located in the heart of downtown Durham, NC, in a building that was once home to Carpenter Chevrolet. Old-timers from the area know it as the old truck shop, and parts department. There are some old artifacts remaining that are fun to check out. 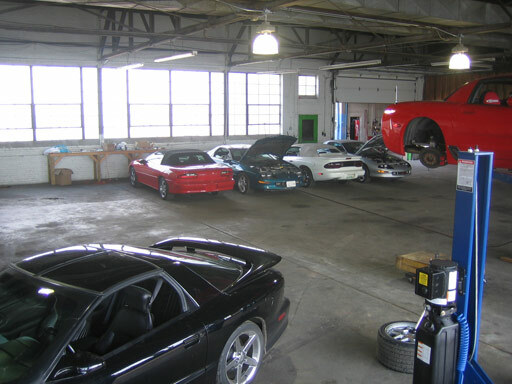 What better place to house North Carolina's Premire GM performance shop? 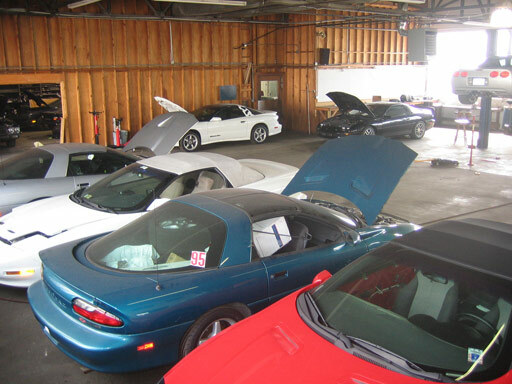 The space is 10,000 square feet, so all cars are parked indoors while work is being performed. We have a state of the art alarm system, and in five years have not had one successful break in to the alarmed space. Here's a front view from the GTO Dyno Day. Here's a view of the dyno cell, showing the in-ground Dynojet 248H (high inertia) and the bumper from the car we won on PINKS is visible in the background. 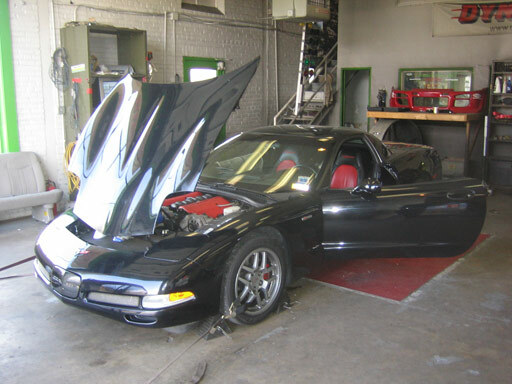 Oh, and an A&A Procharged Z06 making well over 600 to the tires is giving the dyno a workout. 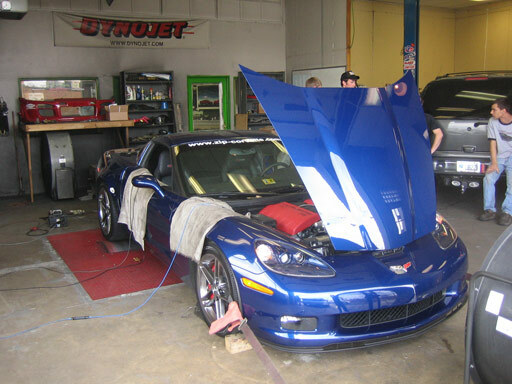 Another view of the dyno cell, showing a 2006 Z06 being tuned, as well as the "front lift" and work area. When we first started this was the whole shop area! 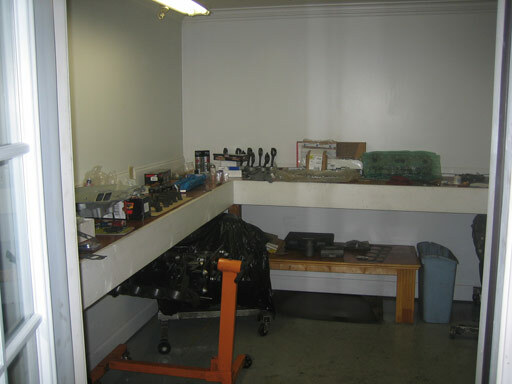 And an above view of the dyno cell area and "front" work area. 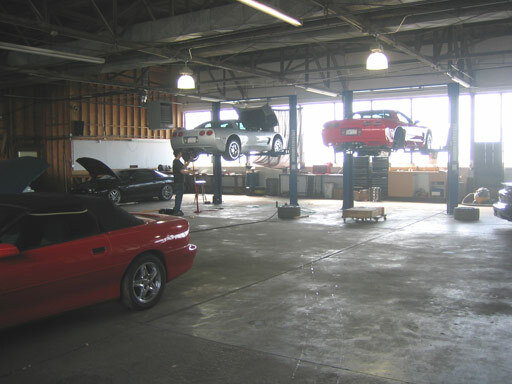 Here's a view of the main shop area. We now have a total of 6 lifts, 1 four post, and 5 two post. Similar view from above, showing we have plenty of indoor storage for projects in progress. Interior view from the front door back to the back of the shop. 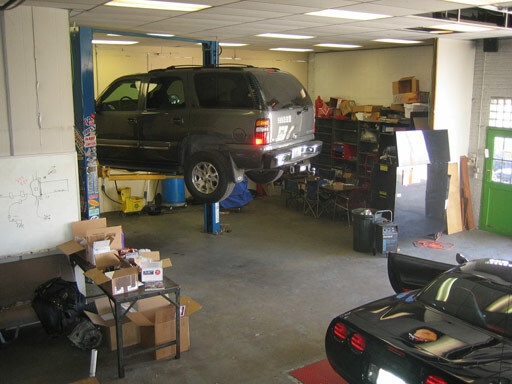 Cars that are in a running state are parked in the front area. 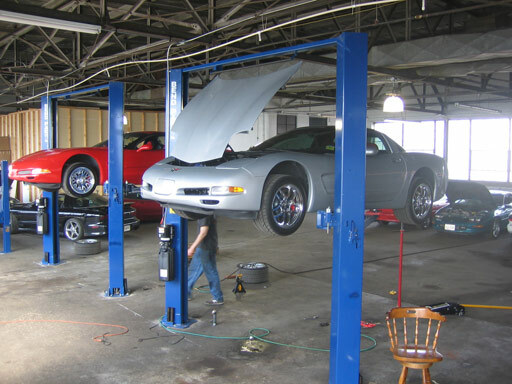 Another angle, and yes, that's Chief Dave's Z06. 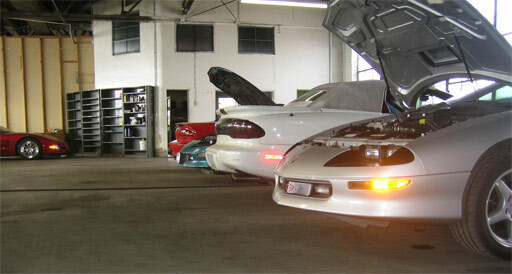 Two all motor Vettes making a combined 970 rwhp! A row of 4 LT1 f-bodies all getting built 383's! 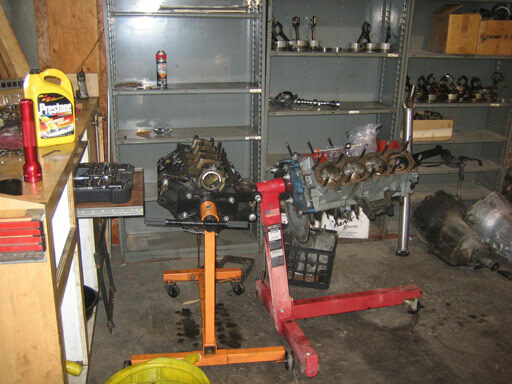 In the back of the shop, we have an area set aside for "dirty" motor work, teardown really. And beside that, an area for core motors. 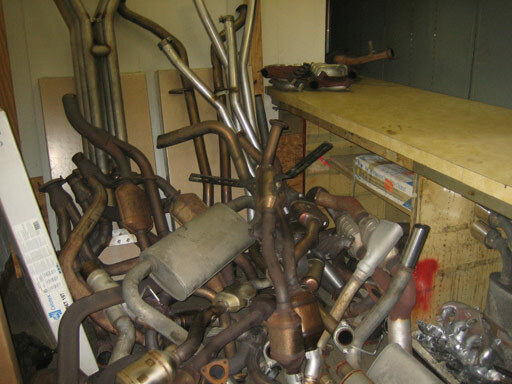 Jeff is a packrat, so for some unknown reason we keep stock exhausts until the pile is too large, then they hit the dumpster, and the pile starts building again. Here's a view of our 12x12 engine clean room, where we do all our motor assembly. 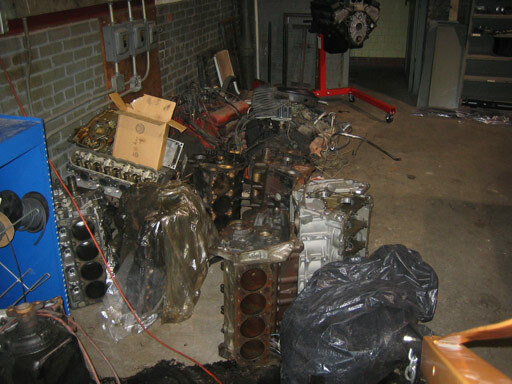 Having the proper environment to assemble motors is very important. 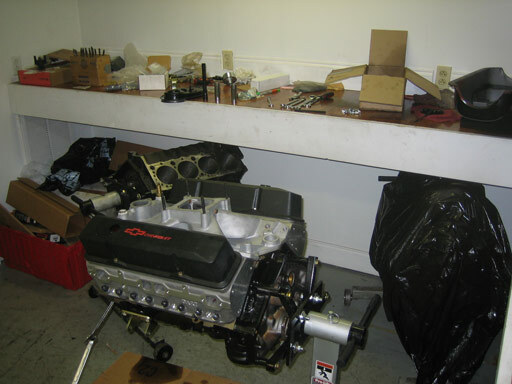 And here's an "old school" SBC almost done and ready for nitrous plumbing! This motor will be competing at the ECTA Maxton Monster Mile, hopefully going over 200 mph!